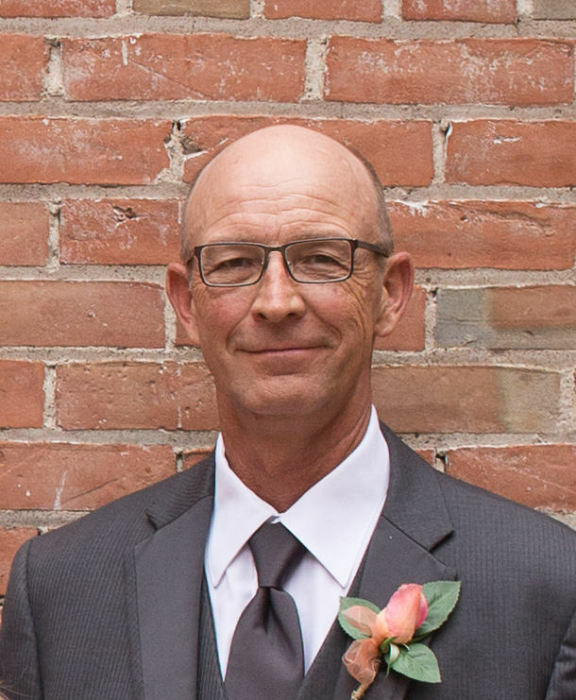 Brian S. Arnold, 58, of Key West passed away unexpectedly on July 16, 2018, while on vacation in Duluth, MN. Mass of Christian Burial will be at 10:00 a.m. on Saturday, July 21, 2018, at St. Joseph the Worker Catholic Church with Rev. Rodney Allers officiating. Burial will follow in Mount Olivet Cemetery with the Key West Fire and Dubuque County Firefighter's Ceremony of the Four Fives. Visitation will be from 2:00 p.m. until 8:00 p.m. on Friday, July 20th at Leonard Funeral Home and Crematory, 2595 Rockdale Road. Key West Fire & EMS and Dubuque County Firefighter's will assemble at 6:30 p.m.
Brian was born on December 5, 1959, in Manchester, Iowa, the son of Melvin F. and Alice M. (Claus) Arnold. He married Annette Kramer on June 4, 1983, at St. John the Baptist Church in Peosta, IA, and they celebrated their 35th wedding anniversary this summer. Brian was employed with the State of Iowa Department of Transportation for 35 years, retiring on December 31, 2014. Brian was involved with the Key West Fire Department for 39 years after joining the department as a volunteer firefighter in 1979. He served as Chief since 1999. Brian obtained his Paramedic Certification in 2004 and was instrumental in Key West adding emergency medical and ambulance services. He was the recipient of the IEMSA Volunteer - EMS Provider of the Year award in 2007. He was involved in various County committees including the Dubuque County 911 Board, Dubuque County Public Safety Commission, Emergency Planning Committee, and was a member of the Dubuque County Firefighters Association and Dubuque County EMS Association having served as past president in both groups. He was a member of the Iowa Fire Chiefs Association serving as a Board member and past president from 2008-2015, and was on the State Team of the National Fallen Firefighters Foundation. Surviving are his wife, Annette; two sons, Nick (Kate Small) Arnold and Zach (Katie Schober) Arnold, both of Key West; four grandchildren Riley, James, Emma and Alice “Ali”; a brother Mark (Donita) Arnold, of Dubuque, a sister, Deb (Steve) Pascoe, of Beaver Dam, WI; nieces, nephews, great nieces and nephews; and two sisters-in-law, Agnes (Steve) Steffen, and Jan (Larry) Phillips, of Peosta, IA. He was preceded in death by his father on April 27, 1977; his mother on October 25, 2017; father and mother in law, Bernard Kramer on December 18, 1966, and Bernice Kramer on September 29, 1985, and a brother in law, Marty Kramer on February 14, 1993. Family was very important to Brian and he enjoyed time spent with them at get-togethers, holidays and on fishing trips. He enjoyed spending time with his grandchildren, taking Riley to school, giving tractor rides and just being “Grandpa”. He enjoyed working in his garage on his tractors and his 1947 International antique fire truck. He also enjoyed planting and harvesting season on the O’Brien farm. The family would like to thank the Fredenberg Fire Department, Tim Wagner from Hi-Banks Resort, the St. Louis County, MN, Sheriff’s Department, and Chaplain Paule Barbeau for their expert care, compassion and kindness during this most difficult time. Also, thank you to the members of the Key West Fire Department for their support and to everyone for their kind comments on social media. The response has been overwhelming and appreciated. A Brian S. Arnold Memorial Fund has been established.